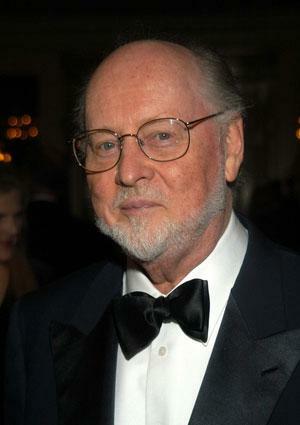 If you've gone to the movies at any time in the last 40 years, you've heard the work of John Williams. Arguably the greatest film composer of all time, he has single-handedly shaped popular culture by writing some of its most beloved and well-known melodies, from Star Wars and Indiana Jones to the themes for NBC Nightly News and the Los Angeles Olympic Games. Born in Long Island, New York in 1932 to a father who played percussion in the CBS Radio Orchestra, music was in John William's life from the very beginning. He spent his childhood years in Long Island where he was known as "Johnny." He embraced music with zeal, trying his hand at several instruments, including clarinet, trombone, and piano. He eventually settled on piano and, as he began tinkering with arranging music, Johnny Williams even started his own jazz band. After relocating to Los Angeles with his family in 1948, Williams set his heart on becoming a classically-trained concert pianist. He attended Los Angeles City College, as well as UCLA as a piano performance major while he studied privately under the legendary Mario Castelnuovo-Tedesco. Although composition wasn't his emphasis, he couldn't help himself. He composed his first piano sonata when he was 19. His studies and career pursuits paused when he served a stint in the Air Force. Fortunately, this did not mean an interruption for his creativity. 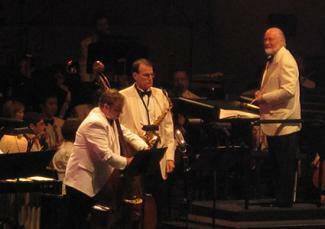 He spent much of his service composing and arranging music for the United States Air Force Band. After his service ended in 1955 he quickly returned to his studies, but this time at the world-renowned Juilliard where he studied piano performance with Rosina Lhevinne. It was during this time that he had a change of heart, as he described to NPR: "I did hear players like John Browning around the place, who were also students of Rosina's, and I thought to myself, 'If that's the competition, I think I'd better be a composer!' "
"Steven took me to a very fancy restaurant in Beverly Hills for lunch, in the days of these martini lunches," said Williams. "He was so young, a little older than my children but not a whole lot. And seemed to know more about my music than I did. He would sing third themes from some remote western." Williams worked on Sugarland Express, and the two reunited again for Spielberg's next big movie, Jaws, which confirmed the excellent chemistry between Williams and Spielberg. Jaws was a box office smash, and it snagged Williams his second Oscar. 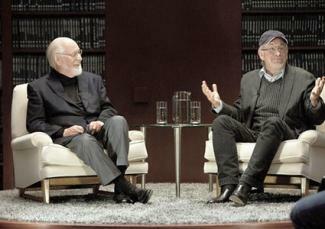 Since then Spielberg and Williams have worked on close to 50 movies together. The relationship would also lead to Williams working with Spielberg's friend, George Lucas, on the Star Wars franchise, which brought Williams his third Oscar. Other notable achievements include a host of Emmy, Grammy, BAFTA, and Golden Globe wins. He also received a Lifetime Achievement Award from Classic BRITs for his contribution to contemporary music. He established such an excellent reputation through his film work that he also became a respected orchestra conductor, including a 14-year stint as the conductor of the famous Boston Pops Orchestra. This led to invitations from other world-class orchestras. He is one of the few composers in Hollywood who does not write using computer software or synthesizers. Instead, he still uses a pencil, manuscript paper, and a Steinway Grand piano to write every note of his film scores. His impressive list of Academy Award nominations has earned him the distinction of having the second-highest number of nominations for an individual in the history of the awards. The only person who has more nominations is Walt Disney. It is no wonder that his genius in composition has been recognized and used in many arenas outside of film, including news media, international sporting events, and even presidential inaugurations. 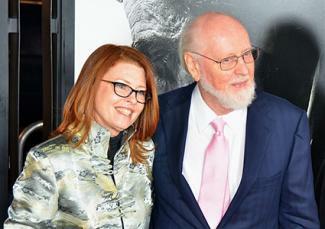 John Williams has made his mark in Hollywood, scoring for epic action and adventure movies and sweeping romantic films, through his work with Spielberg and Lucas. Despite these achievements, he has no plans to retire. In his interview with NPR, the then 80-year-old Williams made his intentions very clear: "(A) lifetime is just simply not long enough for the study of music." He adds, "(T)he idea of retiring or putting it aside is unthinkable. There's too much to learn."